Online systems allow your staff to access information at the Office or on site. SiteBook's modular design allows you to choose the features to suit your business. And if it's not quite right, we will customise it for you! 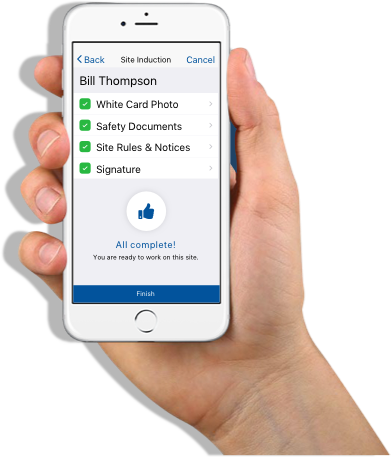 SiteBook is a leading provider of construction Work Health & Safety (WHS) Systems for Principal Contractors and Trades. 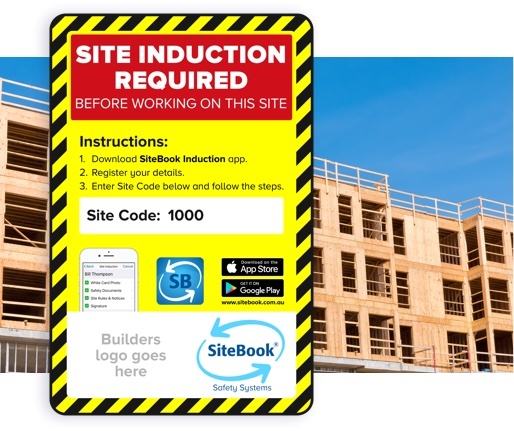 Easy Site Induction for Trades arriving on site. 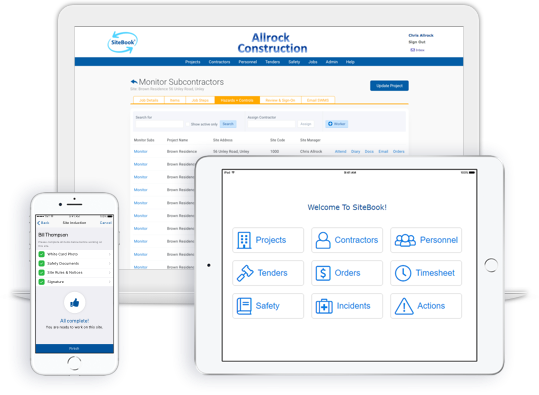 Subscribe to SiteBook and use our on-line SWMS “builder” to prepare your SWMS on site using a tablet.